Ever since the worship of the idol began 34 years ago by priests of the Tarapith, a Shakti pith in Birbhum district, women were not allowed to enter the pandal. KOLKATA: The shadow of the Sabarimala temple row over the entry of women into the shrine has cast its spell on a local Kali Puja committee which does not allow females to enter its pandal amid protests by scholars. 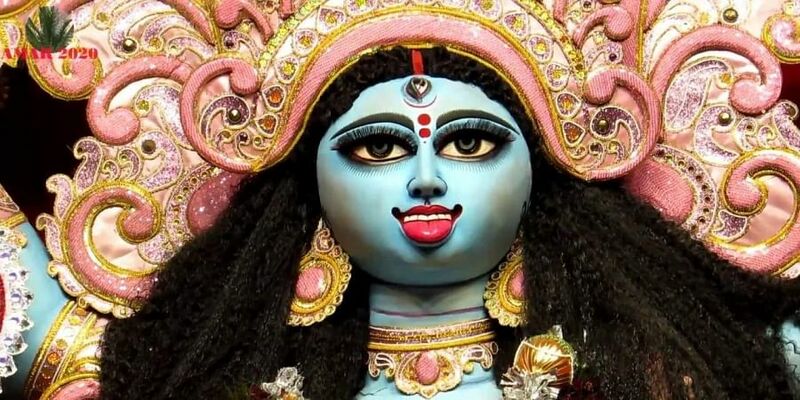 Ever since the worship of the idol began 34 years ago by priests of the Tarapith, a Shakti pith in Birbhum district, women were not allowed to enter the pandal, members of the 'Chetla Pradip Sangha' puja committee in southern part of the city told reporters Saturday. "We wish to maintain the rules which lays down that if any woman enters the pandal during puja, there will be a tragedy in our locality. We cannot break the tradition of the past 34 years," joint secretary of the puja committee Saibal Guha said. The male members of the puja committee and the locality prepare 'prasad and bhog' (food) for the deity besides undertaking other tasks. "Our puja committee has women members, but they don't enter the pandal as they know it might annoy the deity. They are with men in other tasks like bringing the idol to the pandal and join the immersion procession," another puja committee member Saheb Das said. Indologist Nrisingha Prasad Bhaduri termed such rules as the extreme manifestation of patriarchy and misogyny. "Why are they worshipping a goddess then? What the organiser's practise has nothing to do with scriptures. There is no rule to prevent women from being present during puja inside a temple," Bhaduri said. A senior priest and scholar Shambhunath Kritya Smrititirtho said "there is no rule to disallow women inside the premises where the idol is kept." A local woman devotee Sabita Das, however, has no objection to the practice. "Ever since I came to the area as daughter-in-law of a family 20 years ago, I have seen the practice followed. We don't want to break the tradition. It is embedded in our faith," she said. Plz don't worship a woman God if u don't respect women.